At Dave & Buster’s you can play hundreds of the hottest new arcade games in our Million Dollar Midway and win tickets for epic prizes. Try our mouth-watering, chef-crafted creations in our American restaurant. From wings to steaks, we’ve got whatever suits your appetite. Our premium bar features innovative cocktails, impressive wine selection, and 20+ beers to assure we’re stocked to satisfy! Watch your team on one of our massive HDTVs with epic stadium sound that surrounds you from every direction in the sports bar that crushes the competition. 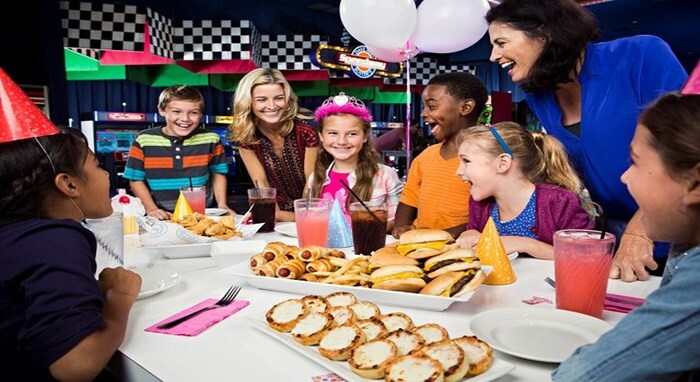 Invite all your friends or coworkers for an unforgettable party or event! We work with every size and budget to make planning easy so you can focus on the FUN!